What Does A Balanced Sport Look Like? More women in endurance would rise to the top. In a backpacking book I read about the Wonderland Trail (a 93-mile loop in Washington around Mount Rainier), I was surprised when the author mentioned endurance runners and recommended, “resisting the urge to trip them” as they ran by. She also suggested one of the reasons these runners could travel so fast was because they were pampered with “veal dinners” to greet them at the end of each day. Huh? The runners I know are dirty, tired, sore and hungry. Many of them attempt these amazing feats completely self-supported or on shoestring budgets. Insinuations like the ones from this author used to cause me to shy away from endurance. I didn’t want to be “that woman” flying down the trail, knowing that some people wanted me to fall on my face. In a perfect world, women would no longer feel that sting of condescension that can come with success. They wouldn’t be afraid to rise to the top. They would feel free to do their best without threat of anyone wishing to trip them as they run by. Women would reinvent long-standing rules and traditions. Traditions are lovely, but sometimes they don’t work for our lifestyles. Do we really have to home-cook every meal? Is dinner with the entire family always necessary? For some it may be, but ideally a woman should feel free to pick and choose the traditions that work for her family. It could be that new traditions are in order, like a family turkey trot or a camping trip in the mountains. Domestic dads are largely unsupported, though they face the same juggling act and struggles as women do. Working within the home is tough for both genders. In a balanced world, gender wouldn’t matter. If you’re a mommy or a daddy taking care of your kids at home, you would have the same community of support from other parents doing the same thing and sharing your challenges. Gender would be a non-issue, both at home and in the workplace. Women would embrace their right to leisure. A [study published in] Leisure Sciences by Catherine A. Roster reported that women don’t have the same opportunities to participate in leisure activities as men do. This can be due to time constraints, limited financial resources, the woman’s central role in the caring and nurturing of her family, or gender roles in the household (eg. women stay inside and do quilting while men go outside and play golf). My hope is for women to understand that they are entitled to and fully deserving of leisure time, especially when our “needs” seem like a frivolous run in the woods. I would love to see leisure time for women become a no-questions-asked habit for all females. We have the right, just like any other human, to pursue the passions that interest us without self-condemnation or guilt. Women would embrace the bigger picture. Our lives have seasons, and perhaps there are some seasons when a six-month thru-hike is not possible. That’s okay. Accepting that we will have other opportunities is not the same as making excuses, running away from our dreams or wasting time. Each season has its priorities, and just because another woman is in a different season doesn’t mean we will never have the freedom that others seem to enjoy. Plan ahead and expect to do the things you are passionate about, in the timeframe that best fits your priorities. Women would teach their kids that there are no limits. By shattering expectations and living beyond what “should be” women would teach their kids just how much can be done with a little training and determination. “Because I want to” would be a valid reason. Doing what one wants to do because one wants to do it is hard for a lot of people, but I think it’s particularly hard for women. We are, after all, the gender onto which a giant Here to Serve button has been eternally pinned. We’re expected to nurture and give by the very virtue of our femaleness, to consider other people’s feelings and needs before our own. I’m not opposed to those traits. The people I most admire are in fact nurturing and generous and considerate. Certainly, an ethical and evolved life entails a whole lot of doing things one doesn’t particularly want to do and not doing things one very much does, regardless of gender. But an ethical and evolved life also entails telling the truth about oneself and living out that truth. Women need to remember that it’s still okay to do things just because they interest and challenge you—because you want to. No other explanation is needed. Women would have more fun. Our sport is supposed to be fun. Although it may be hard to fit in a training session, once we’re out there we should enjoy it to the fullest. Don’t waste your time worrying about chores or thinking about other obligations. This is your time. Have fun with it. Climb a tree, hop in a lake, stop for ice cream. Most of us do this because we love to be active, not because we’re making a ton of money from it. So enjoy your journey fully—that’s your payoff. Women would savor the milestones. Instead of rushing through every challenge to come home and cook dinner, let’s take a minute to savor our milestones. Every small goal accomplished should be a big deal. We only have our “firsts” once: first marathon, first ultramarathon, first triathlon… Let’s acknowledge those wins. You don’t have to celebrate alone—tell your family what goals you’ve accomplished and celebrate together. Take them out for a meal or enjoy a special treat at home. Let them see you rejoice in your steps, no matter how minor they may seem. Don’t immediately rush into the next challenge—there will be time for that. Celebrate and savor everything before moving on. Women would be kind to themselves. a) How much women actually do on a weekly basis (an obscene amount). b) How unkind we are to ourselves about how much we accomplish, always demanding more and rarely satisfied with what we’ve done. I’ve heard women I deeply admire speak negatively of themselves and criticize their training results, even though they were incredible. Some women were putting in 30 miles of cross training on top of 50 miles of running per week, on top of holding down jobs and cooking dinner every night. They were getting up at 4 a.m. They were making it work… and yet they still felt it was not enough. If I could send a message to women everywhere it would be this: We do enough. We have enough. We are enough. We deserve to be kind to ourselves. Remember: There are no hard and fast rules for what balance should look like. Take the tips that best apply to you, or make up your own. We realize that gender equality in general and in sports specifically is a sensitive topic, and we ask that the conversations that occur in the comments section be respectful. Disagreeing and alternative opinions are always welcome as long as they are presented in a constructive manner. Thank you in advance. Of Vanessa’s elements for a balanced sport, which ones are you good at doing and which ones could you use some more work at? Do you ever see your female running friends falling prey to externally and internally created pressures and guilt? For those of us in relationships with female runners, what can we do to encourage women to find balance in our sport and in our lives? Tell that to Martin Brody! Everything in that article that is supposed to be specific to women applies with equal amount to men. this is my favorite excerpt yet!!! Trying to start new traditions (like a walk after a family dinner–I love home cooked, healthy meals together–rather than everyone but me laying around) is so hard but I have to think it will pay off.. Someday… Or at least the dog and I are refreshed. Being kind to ourselves in ea season of life becomes more and more my purpose as the years and adventures continue. "Everything in that article that is supposed to be specific to women applies with equal amount to men." Yes, and everything in this article that's about running applies equally to much of the rest of life! What I really like about this article, though, it that it offers some suggestions of things that we all can do, right now, to make what we do more meaningful, enjoyable, and joyful. Acknowledging milestones and looking for fun in what we do doesn't take any additional time or resources — just a mindfulness and willing spirit. Lessons for women are lessons for humans. Trail lessons are life lessons. There are some great points in this article, applicable – as Mic Med commented – to all. Good reminders for everyone. However, there were two points I wanted to comment on, the first being the section that argues against family meals. I know the whole point was to question traditions, not diss family meals, but in my view singling out family meals as a tradition to limit was unfortunate. There are so many family and cultural benefits to family meals that, in my view, they should be encouraged not discouraged. And I write this from the perspective of the cook of the family who produces 90% of my family’s meals. Although the shopping, planning, and cooking is often the last thing I feel like doing ultimately the process is also the most rewarding. When it comes down to it nothing – absolutely nothing, not running or connection with nature or pushing my own limits – makes me happier (or benefits my children more) than sitting down with my wife and two small kids at the end of the day to eat together and share our day’s adventures. Sure, we don’t HAVE to have a family meal every night, but the more we do have the better for everyone… even for the cook, male or female. Totally and completely agree with the first comment. Dinner is family time in our house. I wouldn't want it any other way. I think it’s a matter of semantics here. I *believe* the author is referring to the standard definition of leisure time, which refers to time spent NOT doing basic life requirements like eating and sleeping or time spent “working,” which can reference going to school, home chores, caretaking family members, a job, and more. Enjoy your leisure and thanks for sharing! Does the book she's referencing specifically talk about "that woman" that she doesn't want to be, or is it speaking of runners in general? I'd like to understand why she feels it held her back as a woman to read the author's joke about tripping, presumably, gender-neutral trail runners. Was the author condescending towards trail runners or female trail runners? Author may want to check out http://www.facebook.com to see that women (and men) have no shame in celebrating or sharing their achievements, big or small, with anyone they can. The point also bounces from "don't rush to cook dinner" to "don't rush to achieve something else", two wholly separate ideas, as if they're the same. I find that the older I get, the easier it is to abandon the old rules and live the life I want. The kids are grown. Now it's easy to run before work or after work or at lunch time. I do sometimes wish I had started living like this years earlier. It would have been a better model for my girls to see and maybe adopt. The good thing is it's never too late to change. Who knows, your girls may still see you as a role model? The author seems to feel very oppressed by her womanhood… Also, what's the point of specifying these "would be" factors to women with such strong language that men seem to be excluded? Should my husband not be included along with me to invent and define our rules/traditions as a family? As a woman with a mostly stay-at-home house-husband/homemaker who cooks/cleans/does all the grocery shopping/etc. and who has actualized each of these balancing ideas (along with all of our female endurance athlete training partners/friends), I suspect that her rant stems from a deeper source than simply a perception of unbalance in endurance sport. In fact, we wondered together what's stopping the author from realizing these "would be" ideas such that she views endurance sport as unbalanced. ?? Nearly without exception, I and the wives in our peer community have "risen to the top" as highly successful physicians (and "support" our husbands); we ARE kind to ourselves but feel driven to reach our full potential and are competitive; we DO claim our leisure via regular get-aways to have more fun because we want to (whether long trail runs, bike rides, or weekends off to some sunny destination without our husbands =) although we take them too! ); we DO set goals and we all embrace our milestones and achievements and feel extremely supported and celebrated by our male counterparts; and together WITH our husbands, we teach our kids to wisely recognize limits and push through those which can be overcome… and so on. 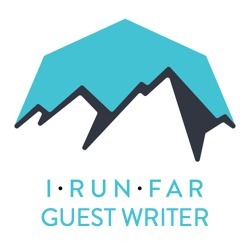 Again, the author sounds troubled and needs to rant, and has unfortunately chosen a headline article on irunfar as her platform. And further, she seems to hold the misplaced view (at least from all of our experiences) that we women are powerless to achieve these ideas. Shucks. Clearly, this type of feature doesn’t work for everyone, especially for those who feel they have already achieved balance and gender equality in their lives. But don't comments like this one: “this is my favorite excerpt yet!! !” suggest that it does hold value to some people? Vanessa Runs may, or may not, have deeper issues underlying her words. At the very least it’s obvious she’s not a huge fan of endless domestic chores! But then again, who is? However, isn’t pushing these issues to the point of saying that she seems “very oppressed by her womanhood” a touch harsh? And where do her words suggest that she views women as powerless to achieve these ideas? Obviously as a male I’m not in a good position to say whether or not women trail runners ‘need’ gender specific ‘self-help’ features like Vanessa’s. I would have guessed not, knowing how strong trail runners become… but it would be wrong to assume I know everyone’s needs or situation! Gender in-equality clearly still exists, and maintaining an open and non-judging attitude to people addressing it (and other inequalities) is just another part of being balanced. While I had some objections to Vanessa’s feature several sections still struck a chord. Does that mean I’m oppressed by my manhood because I empathized with some of what she wrote? I certainly get why some people might not like the feature, and might even feel offended by it, but to be fair is it really a rant? “Again, the author sounds troubled and needs to rant…” Isn't there just a touch of irony in those words? We are all different; we are all journeying through life and running at different speeds; we have all reached different stages. Vanessa’s book will likely only work for a few of us, but it might still touch and even help some. Is that really so bad?